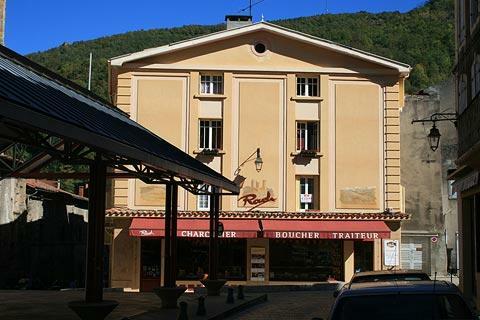 Set deep in the upper Ariège valley, the outstanding scenery and lush green mountain pastures that surround the town welcome you to the beautiful town of Foix. 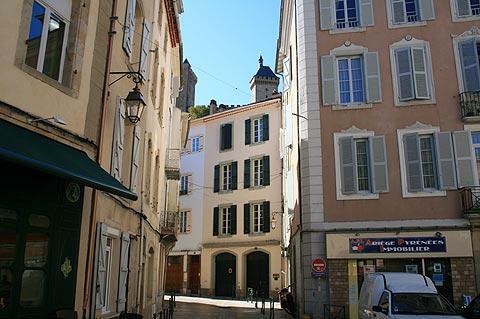 There are two parts to your visit to Foix: the historic town centre where you can still see various examples of medieval houses; and the castle that stands on a hill above the town and is visible from many places in the town centre. 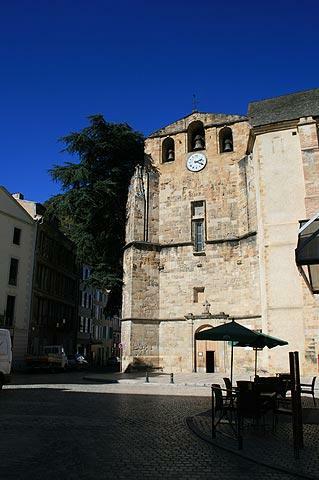 The most dominating feature of Foix, the castle, is also the focal point of the town's history and the centre of your visit. 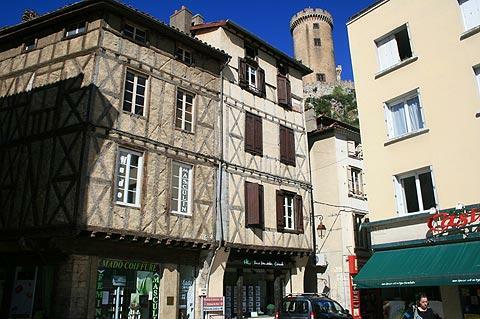 The Chateaux de Foix was built before the seventh century (it was mentioned in Roger 1st will when he bequeathed this amazing chateaux to his youngest son Bernard). Seated on top of a small hill this astounding piece of architecture is essential viewing on your visit here: the chateaux has undergone recent renovation and is the jewel of the town. Unlike many chateaux, the tourist authority have also provided abundant information for visitors and offer self-guided recorded visits in many languages. Whether you’re a count, a knight a fair maiden, or a parent looking for activities for the kids, you’ll be sure to step back in time at a visit to this magnificent fortress. 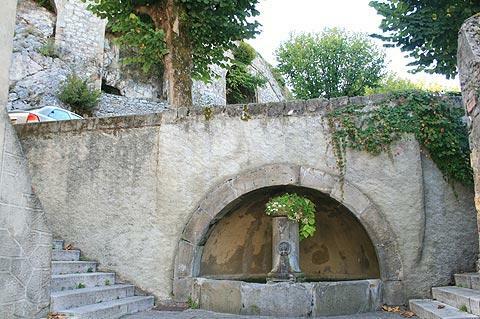 Since 1930, the castle has housed the collections of the Ariège departmental museum. Sections on prehistory, Gallo-Roman and mediaeval archaeology that tell the history of the Ariège from ancient times have been created with amazing taste. 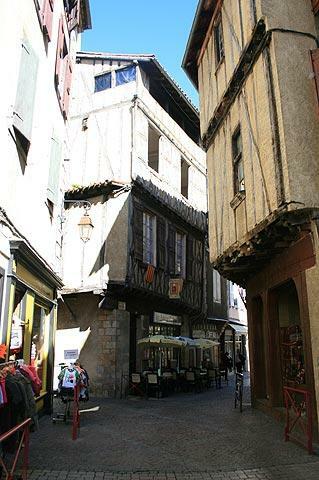 The museum has organised exhibits to concentrate on the history of the castle site so as to recreate the life of Foix at the time of the Counts. 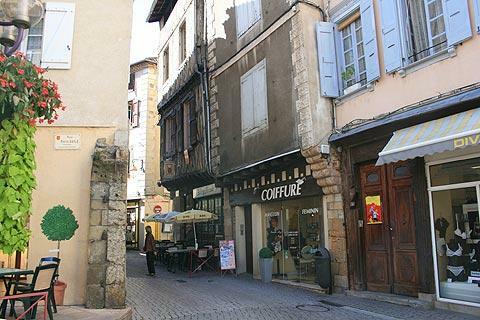 The town itself offers an interesting mix of architecture typical of an area that has incurred cross border fighting and enemy control over the centuries. 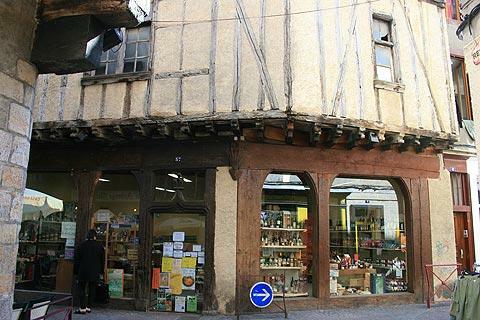 There are pretty alleyways with patisseries, boulangeries and brocantes, one of which in particular you should visit: the brocante in the alley below the Chateaux de Foix. 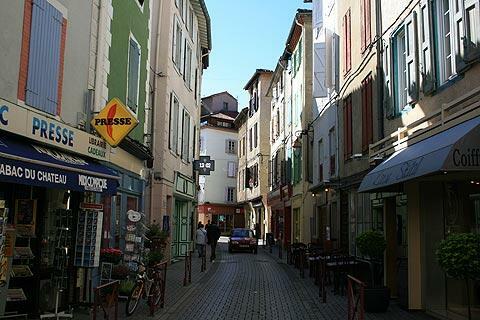 Sooner or later all visits to Foix will reach the old market square with its quaint cafés and boutiques, and the perfect opportunity to take a coffee break. 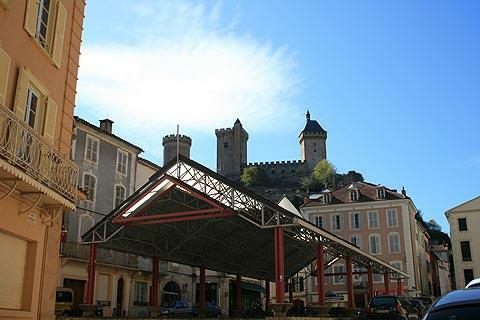 Tuesdays, Wednesdays and Fridays are the best time to visit Foix, which comes alive with it’s markets, held in the craft centre, and on Fridays at the Place Saint Colusien and the allee de Vilotte where you will discover the biggest selection of cheeses and honey ever in one place! In the winter months, ski stations are about 40 minutes from Foix: not the best slopes in the world, but they do have great food and stunning scenery, perfect for beginners! In the summer, the mountains become a haven for walkers and hikers and there’s plenty of accommodation including from self-catering gites, hotels and camp sites. 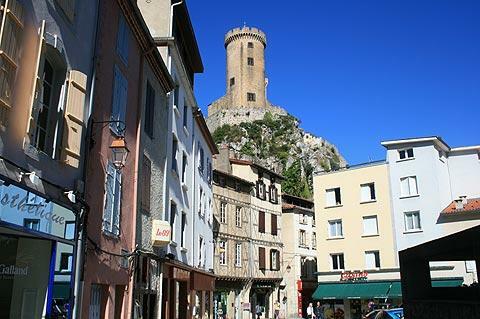 Nearby you should also visit Montsegur to the south-east of Foix. 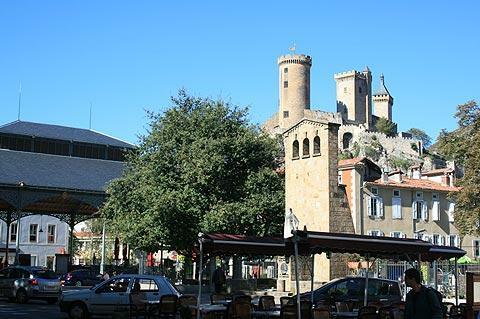 See also more detailed information about Foix castle.